“One unmistakable feature of this project is the historic stretch of elevated train trestle found on the site. Like many visitors to the area, we find these ‘ruins’ to be striking, even beautiful in their abandoned state – a monument to our industrial past, the likes of which are becoming fewer as time passes. 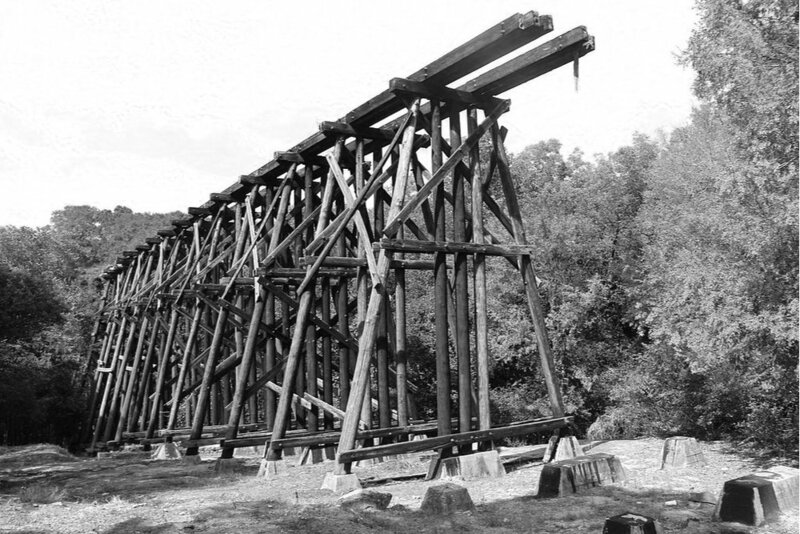 Not to mention, this trestle holds more recent historical importance in its association with local music heroes REM. The first concept aims to respect and protect the existing trestle, but does not rely on its structural capacity for any new intervention. Rather, the new bridge swings wide of the trestle, allowing visitors to Dudley Park to continue to admire the abandoned ‘ruins’ of the old rail line from below. On the new bridge, areas of the path are widened to allow for visitors to gather and take in views: to the trestle, to Dudley Park, to downtown and campus. In this way, a dialog is created between the new bridge structure and the existing surroundings. 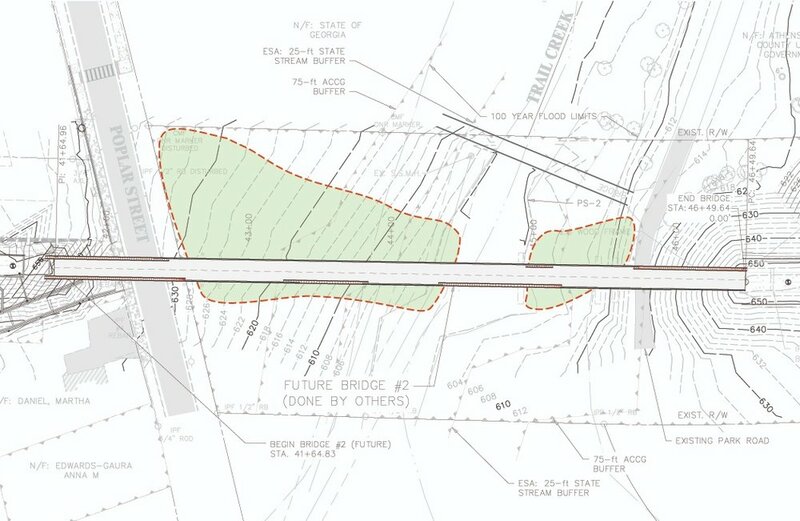 In order to accentuate this dialog, a new landscape opportunity is created at the base of the trestle that will incorporate native species of plants/trees, lead visitors to the creek in a safe & controlled way, and allow for leisurely interaction with the trestle.